Jeff Martin Auctioneers Inc. held its largest auction to date conducted at its corporate headquarters in Brooklyn (Hattiesburg), Miss., March 7 to 9. Over the three days, more than 2,500 items were sold to 1,676 bidders from 48 states and 24 foreign countries. "I have been with Jeff and Kellie since we started here, and it is hard to believe the enormous growth that we have experienced," said Jami Rogers, auction manager. "There is no substitute for an amazing team that enjoys what they do and love coming to work each day." 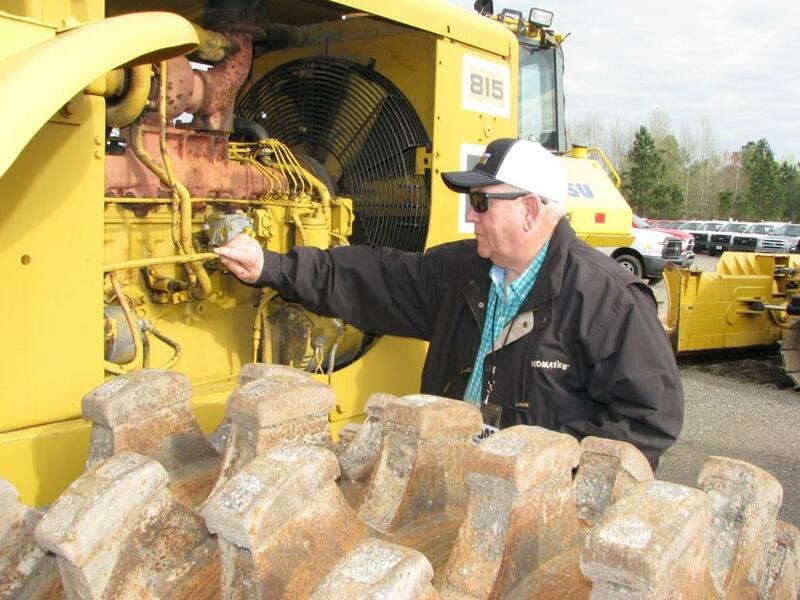 Brent Beverly of BTM Machinery also said, "The onsite crowd at the Brooklyn, Miss., auction site is astounding. It seems to me like there are more people here than I have seen lately at any auction, anywhere. "The climate-controlled auction arena makes you so comfortable and it is very easy to spend money. 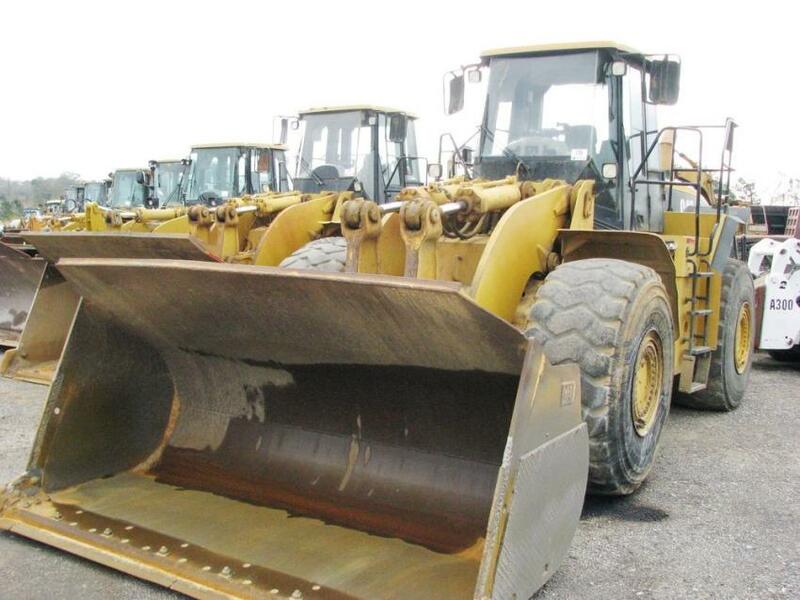 The quality and quantity of late-model yellow iron are almost unbelievable for an auction site in south Mississippi. We are regular buyers and plan to continue participating at each JMA auction event." Jeff Martin's next auction event will be hosted at the Pelzer (Greenville), S.C., facility on March 27 and 28. For information, or to utilize the LiveChat feature for immediate service, call 844/450-6200 or visit www.JeffMartinAuctioneers.com. Jeff Martin Auctioneers Inc. also may be followed at any one of its numerous social media accounts. The wheel loader lineup was a big draw for the sale. 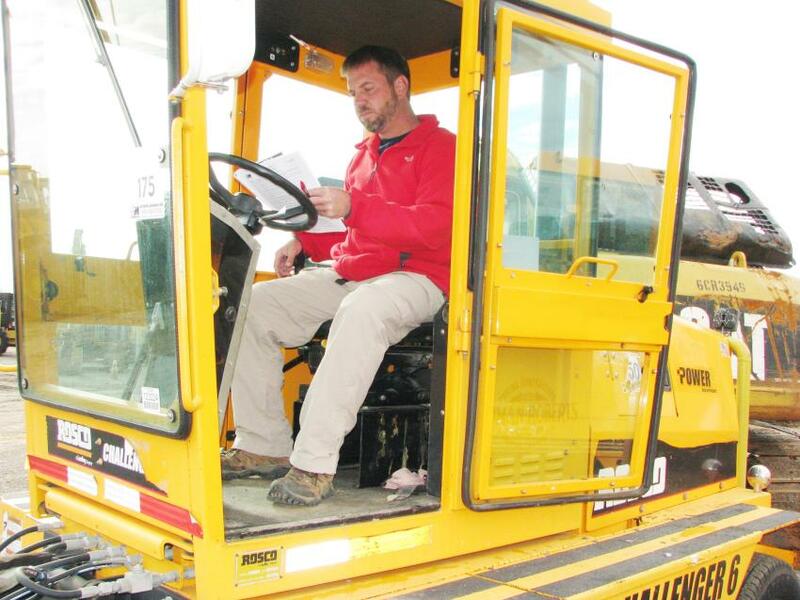 Reading the auction catalog about a pair of Rosco Challenger 6 sweepers is Jason Lambert, Lambert Equipment, Sampson, Ala.
Wrapping up his inspection of a Cat 815 compactor is Ernest Pearson of The Blain Companies, Mount Olive, Miss. 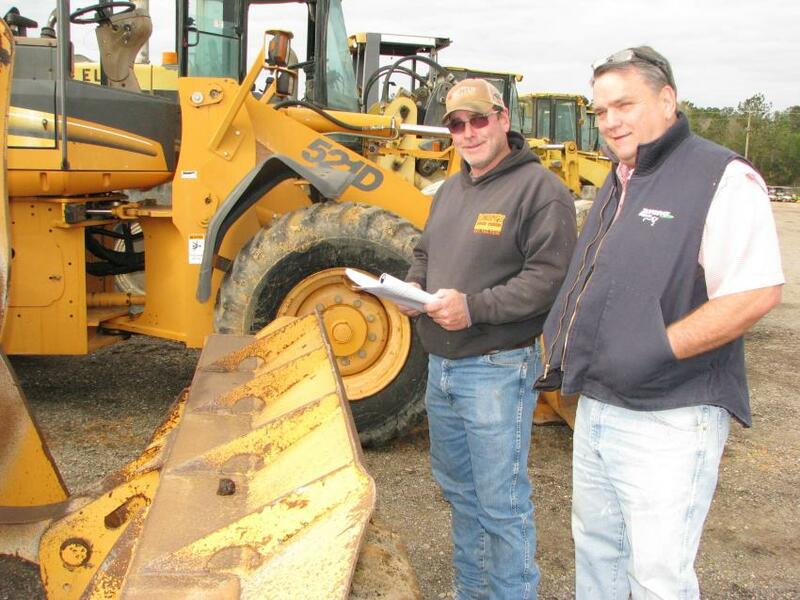 Bruce Holder (L) of BH Cattle, Collins, Miss., and Bernie Rogers of BR Cattle Company, also in Collins, were both interested in a pair of Case 521D wheel loaders for use in their farming operations. 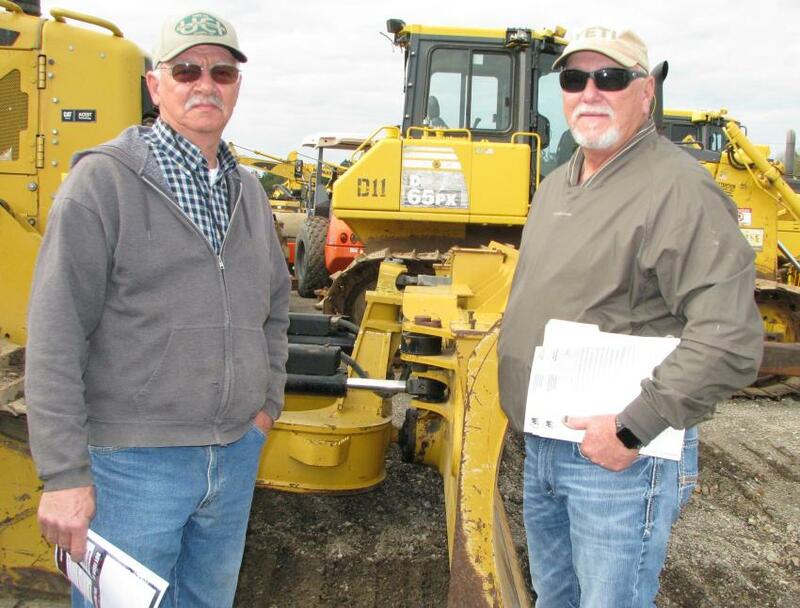 Jerry Ertle (L) and Mike Loflin, representatives of Utility Constructors, Jackson, Miss., were big consignors at the auction, with a fleet of dirt-moving equipment for sale. 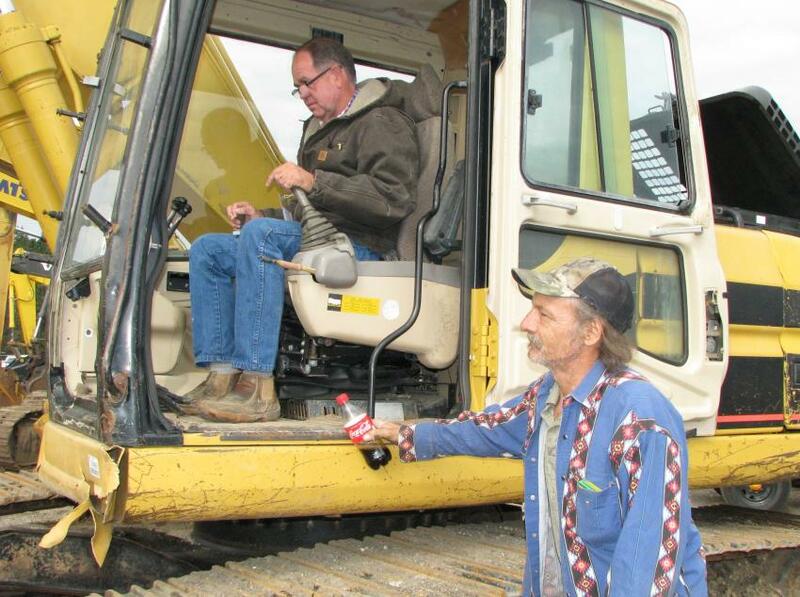 Mark Emfinger (L) and Michael Browning of Tech Contractors, Winnsboro, La., test-operate a Cat 320BL. 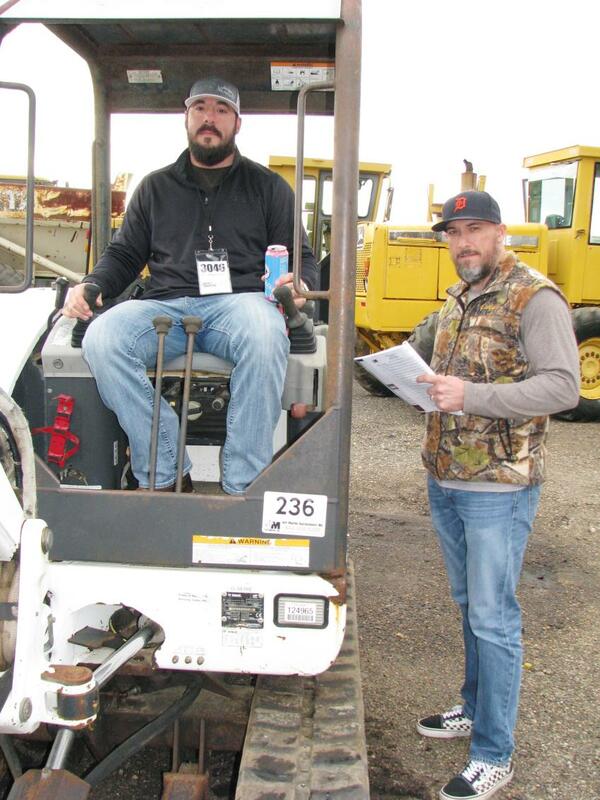 Looking for some compact equipment to add to their rental fleet are Allen Navarro (L) and Elton Navarro of Blackfin Equipment Rentals, Morgan City, La. 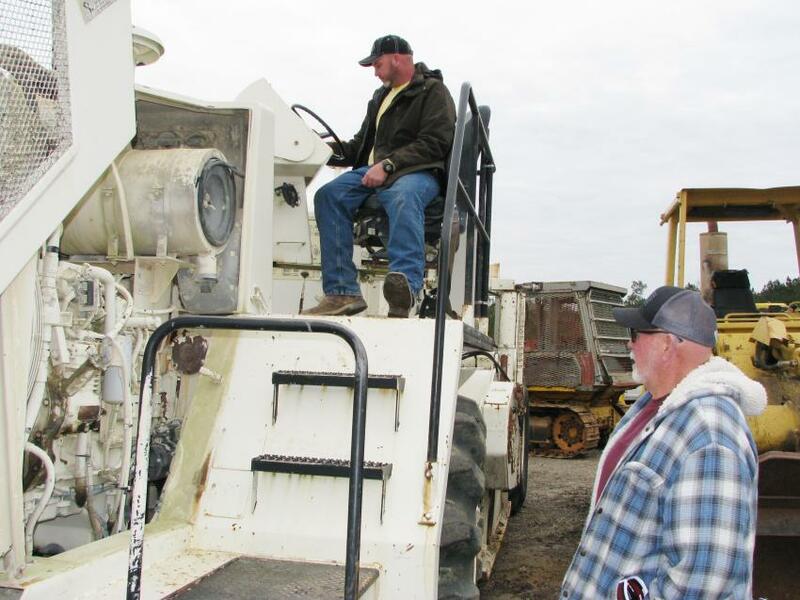 Mike White (L) and his dad, Steve White, of All-American Asphalt, Birmingham, Ala., were very interested in a CMI RS-425B reclaimer/stabilizer. 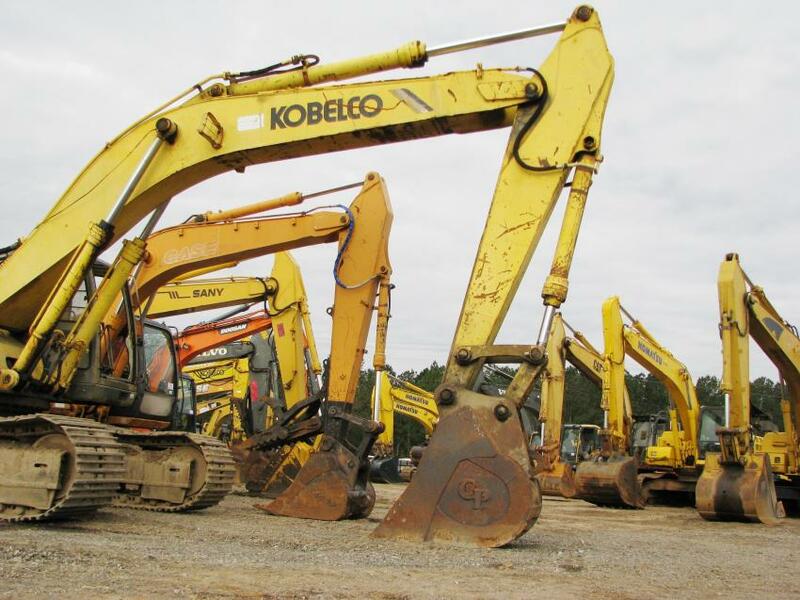 A broad range of hydraulic excavators was available at the auction.